Are You Tired of Trying to Find Affordable, and Reliable Carpet, Safety Vinyl, Laminate Flooring Fitters in London? Then..... Call 020 3322 7001. Floor fitting is our speciality! You can depend on our service 24 hours a day, and you can schedule service appointments at your convenience. 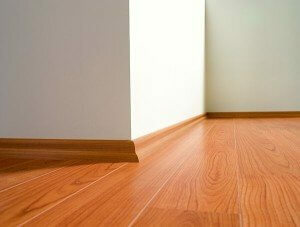 We offer expert laminate floors, commercial vinyl and non-slip vinyl fitting at affordable rates. Now you’re scratching your head and wondering how you can get a professional carpet and flooring fitter to do the job! Finding a reliable London carpet fitter or engineered wood flooring fitter is crucial. In addition to our range of flooring fitting services, we also offer an extensive range of domestic joinery services including door fitting, wardrobe fitting, kitchen cabinets, worktops, fencing and garden decking. We also offer a fitting service on all types of carpet, luxury vinyl tiles, commercial vinyl, wet room vinyl, and laminate flooring. Highly experienced carpet, non-slip vinyl, wood and laminate flooring fitters. Competitively-priced carpet and flooring fitting throughout South East, South West, North West and East London. We fit all types of vinyl and carpets, including Flotex, Amtico, Altro, Polyflor, Karndean, wood and laminate flooring. We offer a full range of custom flooring solutions that would beautify your home and will be easy to maintain. 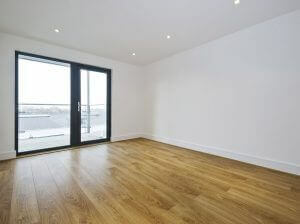 Our comprehensive fitting services include: Engineered Wood Flooring, Solid Wood Flooring, Laminate Flooring, Amtico Flooring, Altro Flooring, Polysafe Flooring, Non Slip Safety Flooring, Karndean Flooring, Linoleum Flooring, Quality Carpets, Skirting Boards, Sub Floor Repairs, Garden Decking, Commercial Kitchen Flooring Installation & Wet Room Vinyl Flooring Installation. All work, be it flooring or joinery work, is carried out using trained tradesmen, who treat each job as if they were in their own home. We ensure all contracts are completed on time, and within budget. Call us now to get a real quote and to get started on your project. 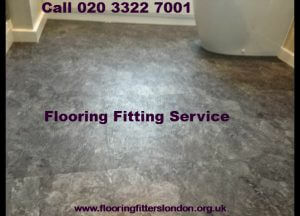 Our fast flooring fitters proudly serve the South West London area for all its flooring needs. We also offer vinyl floor tiles, carpet, safety vinyl, luxury vinyl flooring, Victorian vinyl flooring, waterproof vinyl flooring, and laminate floor fitting service in Southwark, Lambeth, Wandsworth, Greenwich, Lewisham, Newham, Hackney, Islington, Camden, Westminster, Kensington & Chelsea, Ealing, Hammersmith & Fulham.